Your child can’t hold a pencil very well? Your child thinks faster than she can write? Your child’s handwriting is illegible? Your child can’t compose in writing even though he can tell you a great story? Your child might benefit from having a scribe. What’s a scribe? That’s a person who writes for someone else. It’s sort of like the old days, when a boss dictated an oral message to a secretary who took it down in shorthand and then typed up for the boss to sign. It was still the boss’s writing — the boss’s composition — the secretary was the scribe. If your child experiences difficulty with handwriting, you or another person more capable with handwriting (another adult, a tutor, an older sibling) can listen to your child tell a story or make observations and write them down. Then the story can be typed up or read back to the child — or the child can read it — so he or she can feel the power of having composed those very words. You can start scribing really naturally, just by asking a child to tell you a story and writing it down. I did this with all my preschool aged kids, and they always found it fun. For an older child, it’s sometimes easier for him to start if he’s seen scribing in action. I’ve taught in homeschool co-ops where half the kids use scribes during our freewriting and composition periods, making it easy for kids to try it without embarrassment. Some will want their own parents as scribes; others will prefer a different adult volunteer . 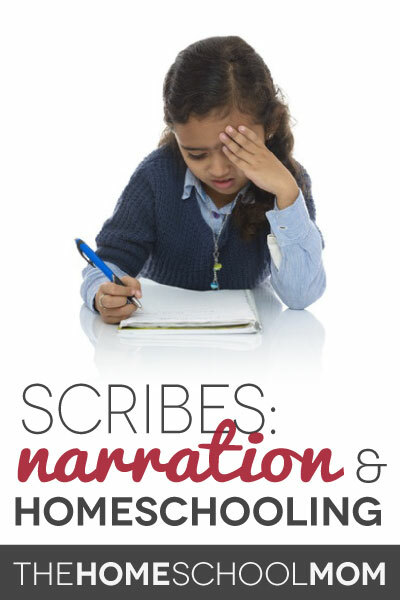 Most kids really like having a scribe, but a few find it irritating or don’t want it. It’s just meant to be a help. Your child might prefer other adaptive technologies, such as using voice transcription software or just learning to type while continuing to work on fine motor skills. Some kids have a learning disability called dysgraphia, and scribing or these other technologies can be a real plus for them, because weak handwriting doesn’t block the development of voice and composition skills. Other kids have other kinds of differing abilities that make handwriting more difficult. Using a scribe is generally something many kids don’t need forever, although if they have specific or more extensive disabilities, scribing can be a long-term accommodation in many circumstances. In my writing groups, primary and elementary kids will use scribes at a fairly high rate, with more and more changing to keyboarding on a laptop if their handwriting remains too weak to keep up with their need for speed. By middle school ages, most who still have trouble with handwriting will have gone to laptops, but a few will still ask for a scribe. The rest are now capable of composing in their own handwriting. If they’ve grown up in an atmosphere where scribing is a matter of fact tool that some kids choose, those who need it will use it as long as it’s helpful. If your child uses a scribe for composition, you can continue to help your child with handwriting. It’s just that now you’ve separated the two processes — the hand from the writing — so that growth in composition can continue to take place unimpeded by the different rate of development in handwriting. Narration in homeschooling is one of those ways a child can make progress at their own rate in all areas without one area (handwriting) slowing down everything else. When you are a scribe for a young child, don’t interject your own words or jump in to ask too many questions or interrupt. As much as possible, allow the child to establish the flow of her own words. When the story or passage is read back, a child will begin to see over time where logic failed or details are needed. Then you can even scribe revisions the child requests. Resist the temptation to impose this too early. Let the five-year-old’s story stand the way the five-year-old told it. In some states, end-of-year assessments are required, either through testing or evaluation of a child’s work. Evaluators in many states are familiar with scribing, and you may be able to use scribed passages as part of your child’s portfolio. For example, you may give examples of your child’s handwriting, examples of compositions that were dictated to you as a scribe, and examples of the child doing composition in her own handwriting (which will probably be much less developed if your child has asynchronous development with handwriting and composition). You just label these clearly, and depending on your evaluator (ask ahead of time), this work can be taken into consideration. 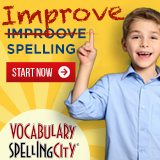 It’s a great way to show your child’s improving literacy. Use of a scribe has some connections to specific homeschooling styles, too. 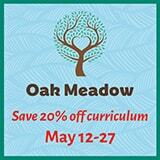 In Charlotte Mason education, “narration” or retelling is an important part of helping children with comprehension. It’s not a shortcut; it’s a way to develop focus and express understanding. You can scribe some of this narration in order to keep a record of how your child is progressing with comprehension, and in order to develop a body of work that your child will feel pride in having created. If your child is limited by challenges with handwriting, consider giving him a hand by scribing for him. You will liberate expressiveness from the scratchy pencil and paper, and you’ll probably hear some great stories. Having a readable enough handwriting is also a very compulsory thing these days. Otherwise it becomes a real issue later on in the life. What do you think?